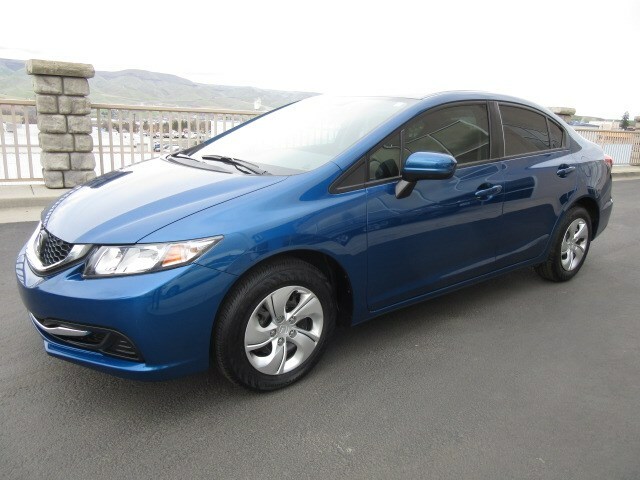 Fresh and vibrant for 2015 with first-class comfort, convenience, and style, our 2015 Honda Civic LX Sedan is presented in beautiful Dyno Blue Pearl. Powered by a proven 1.8 Liter 4 Cylinder offering 143hp while paired with a refined CVT to supply easy passing commands. Our Front Wheel Drive achieves near 39mpg on the open road. Along with nimble, precise handling and a comfortable, composed ride that is quiet even on the freeway. The bold aerodynamic design of the LX is enhanced by 15-inch wheels. This LX interior is spacious and features a central display screen as well as a rearview camera. Bluetooth phone and audio connectivity, SMS text messaging functionality and a 6 speaker sound system with a CD player, an auxiliary audio jack, an iPod/USB audio interface and Pandora radio functionality will keep you safely connected and entertained as you enjoy this fantastic ride! The engineers at Honda have superior safety in mind with ACE body structure, vehicle stability assist, and an army of smart airbags, which is why it continues to be a top safety pick. 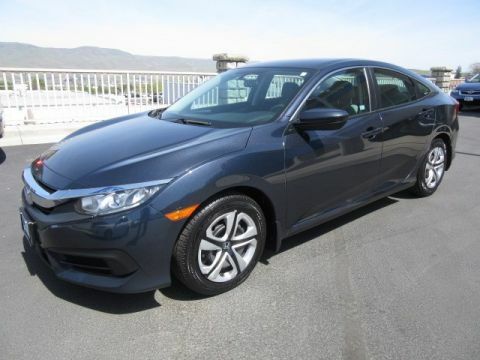 Tried and true, this soulful Civic Sedan LX is built for fuel economy, safety, and entertaining driving dynamics. What are you waiting for? Print this page and call us Now... We Know You Will Enjoy Your Test Drive Towards Ownership!